These glasses are available with black, silver, white & blue colour. Lenses consist of non-silvering polycarbon. Glasses are delivered with its own Jobe case. These glasses have proven themselves particularly useful during GPKITE	introductory courses for beginners. GPKITE Students focus on the kite which is often in direct line of sight with the sun. Moreover the glasses absorb the reflected light off the water surface. 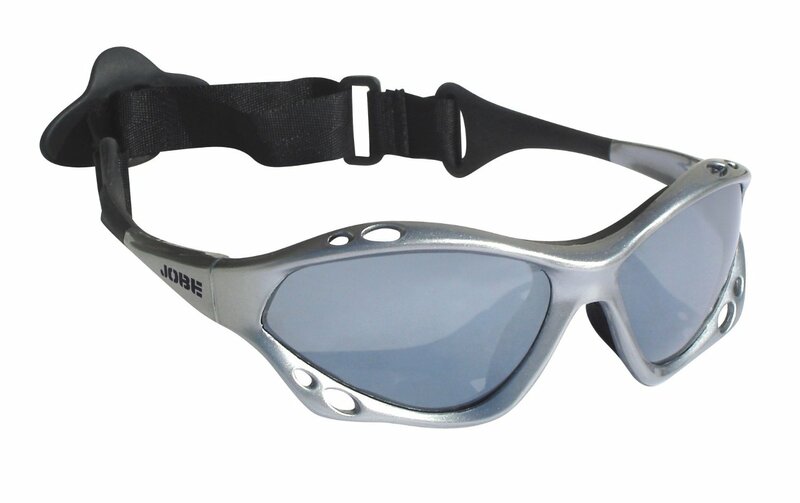 The backstrap secures the glasses so that they remain fastened even after a sweeping bodydrag.